Turley’s 100% recycled Colored Glass starts as a clear glass that is then crushed and colored with a unique blend of coatings. Using a patented thermal application process, Turley’s Colored Glass pieces are coated with a brilliant, long-lasting finish that is UV and scratch resistant. 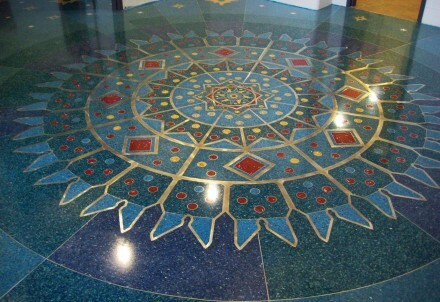 Turley’s Colored Glass is terrazzo quality and responds well to grinding and polishing due to consistent color quality. Turley’s Colored Glass chips provide a rich and deep accent not possible with traditionally colored glass.